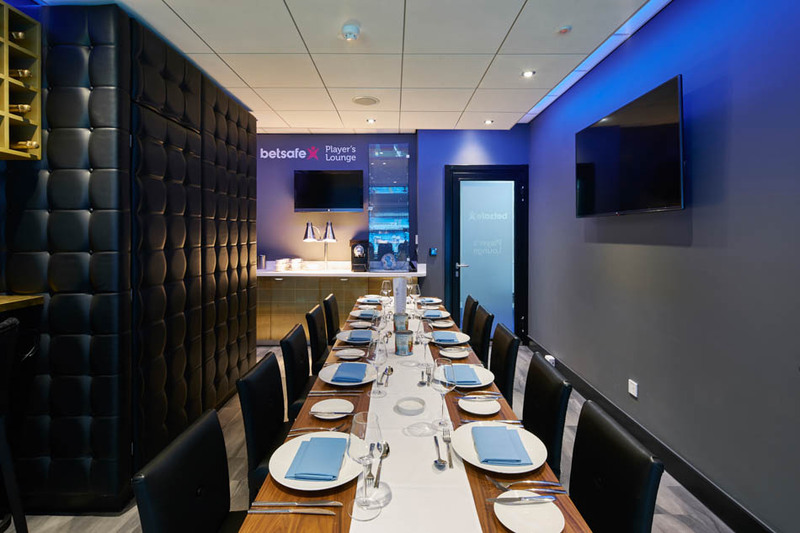 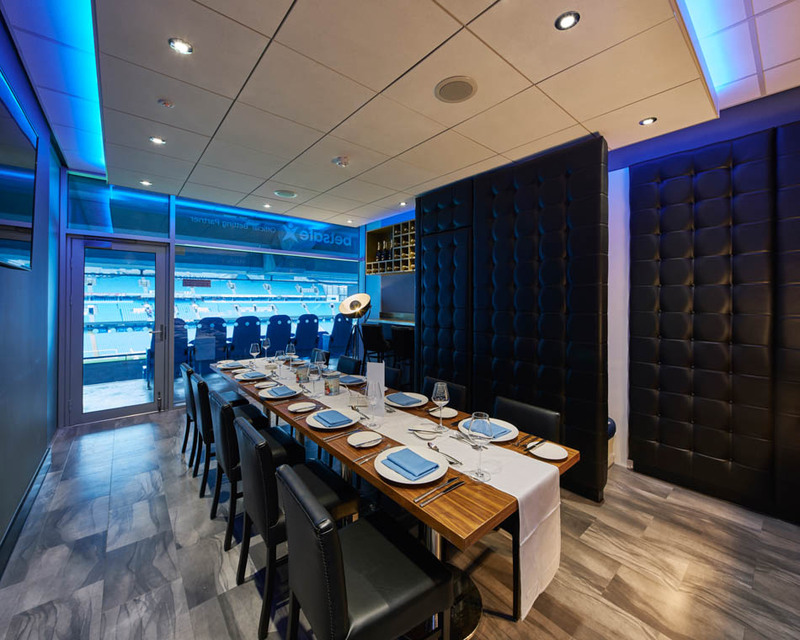 Following Preferred Space’s experience of delivering design and built corporate hospitality boxes at the Etihad Stadium, Preferred were appointed to d&b the 10-person box for Betsafe. 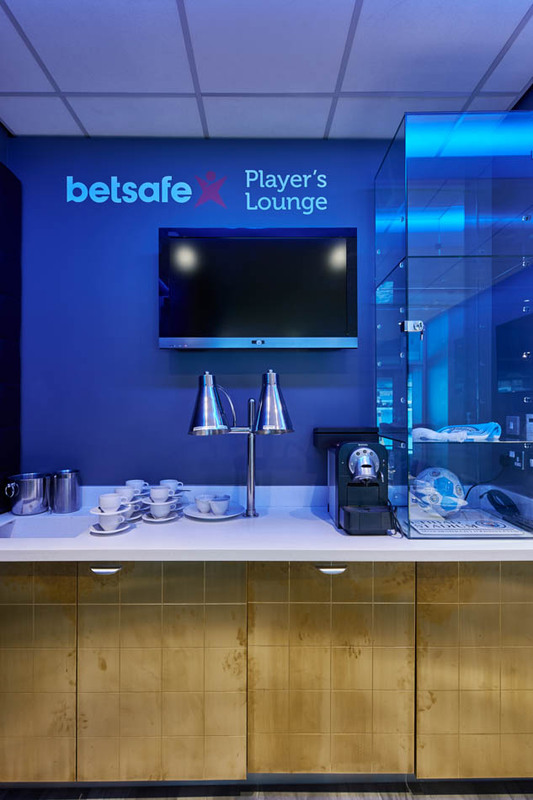 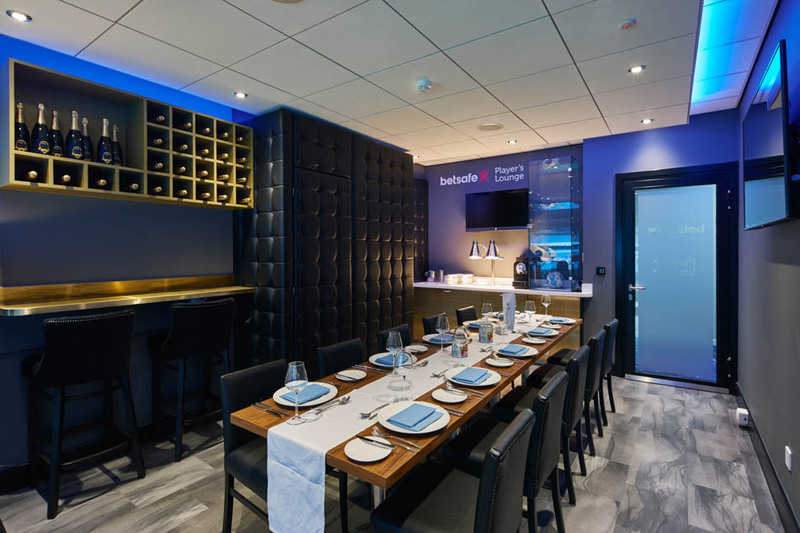 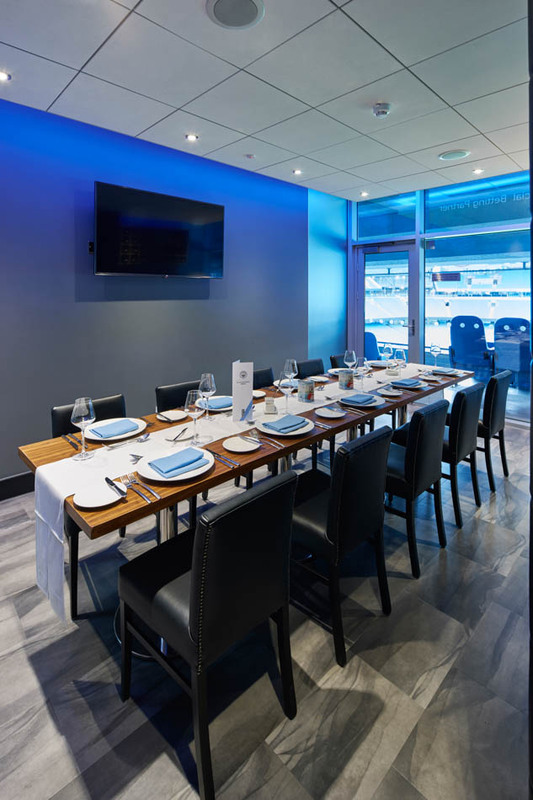 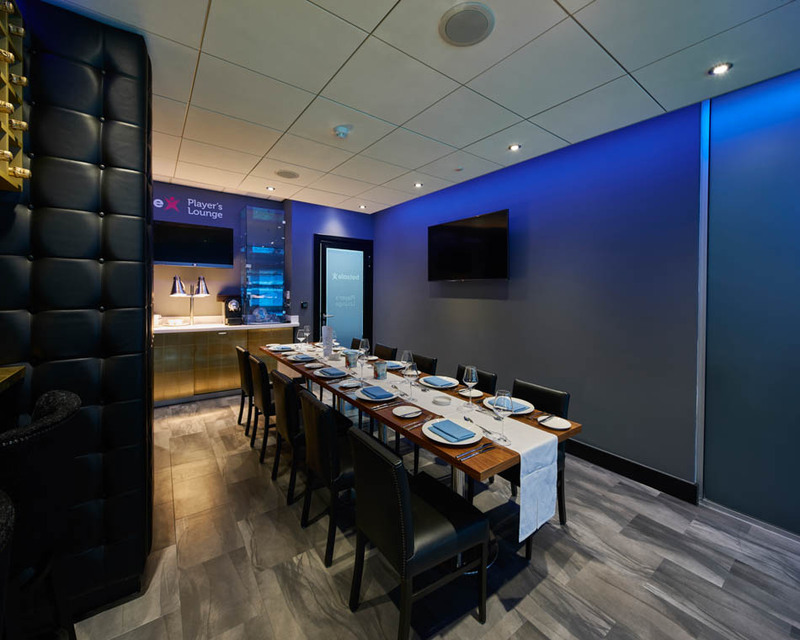 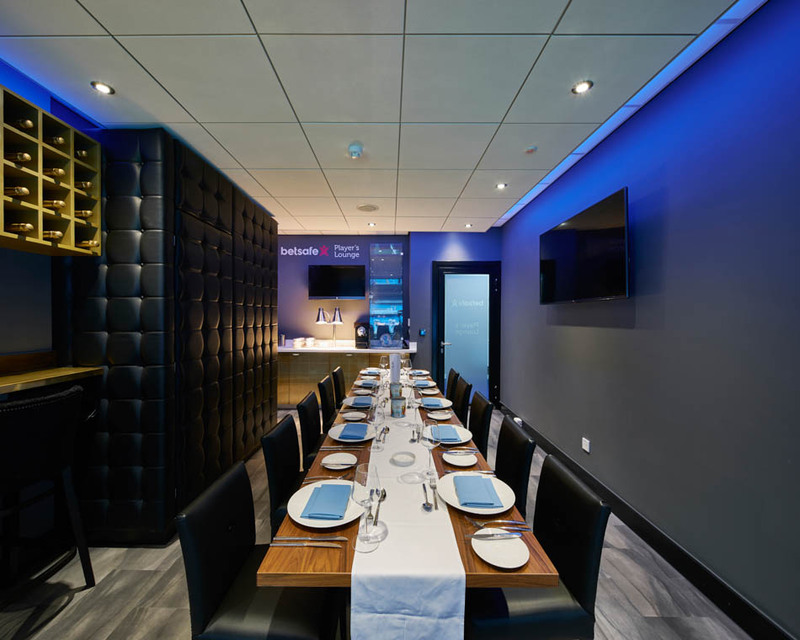 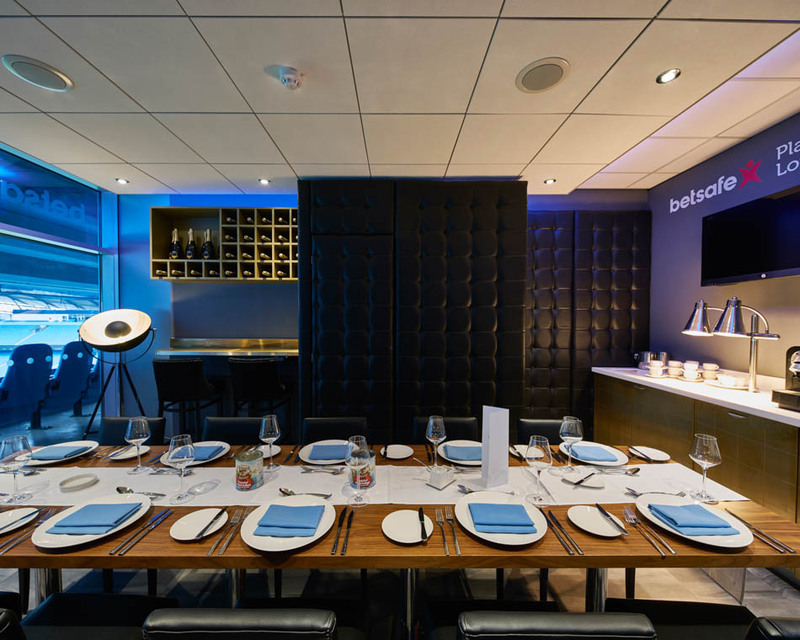 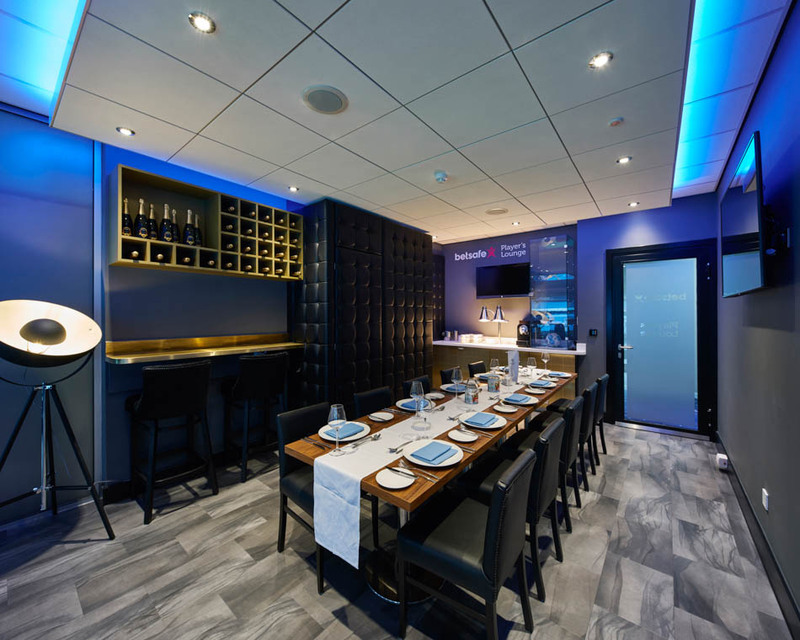 Following several concepts schemes the Betsafe team picked a layout which featured a dining experience together with features such as a leather clad booth with a Betsafe Recaro changing room seat for guest photographs. 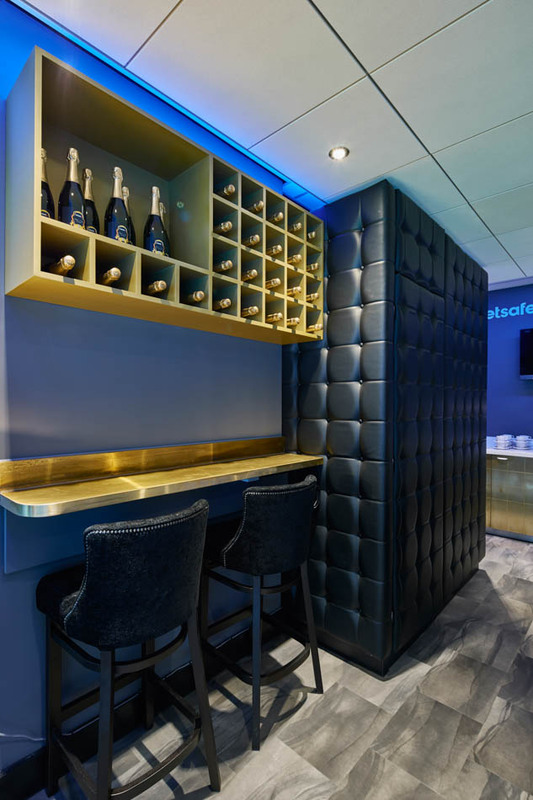 We also supplied and installed a champagne rack built in bronze. 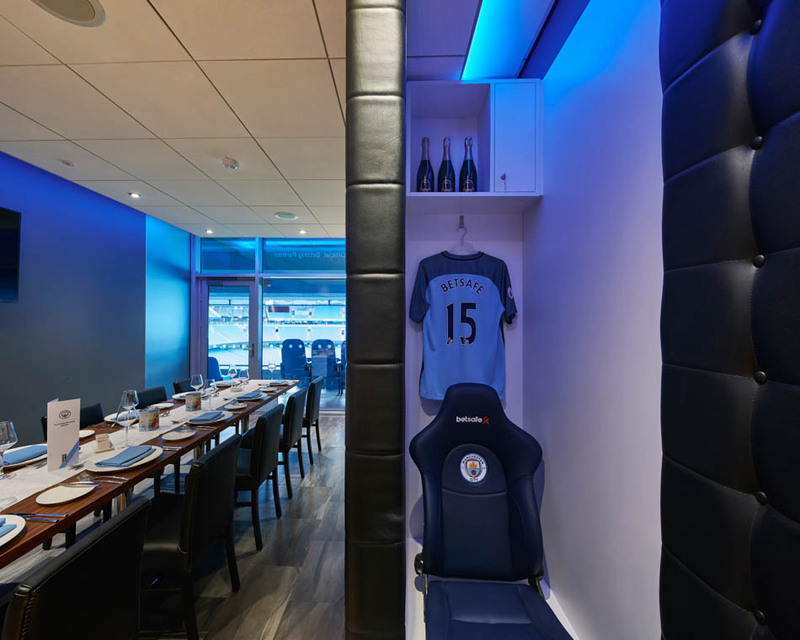 The box has received rave reviews from all the guests that attended the games at Manchester City FC. 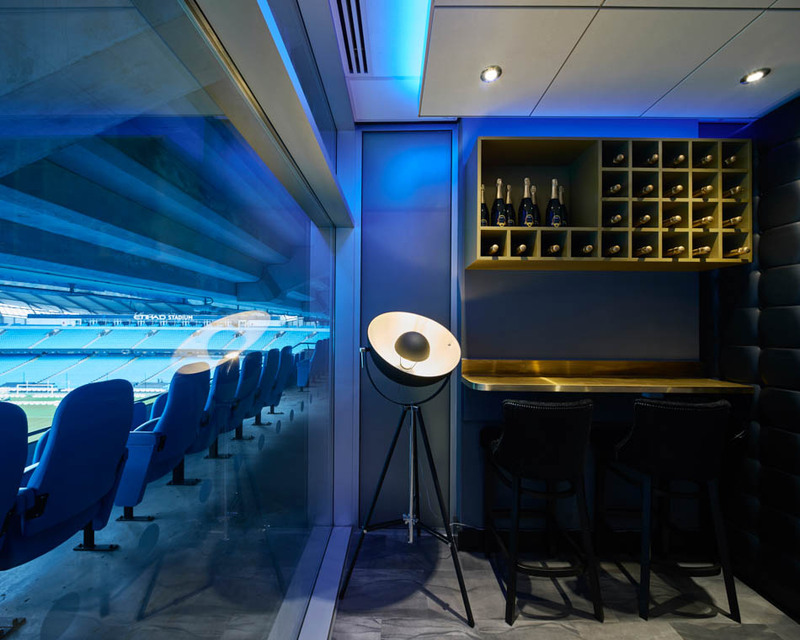 The fit-out works were carried out over 4 weeks at the Stadium.